When we created the 45 RAPTOR, we set out to create a modern sporting rifle cartridge with big bore hard-hitting performance out to 200 yards that met the legal hunting requirements of the State of Indiana, that were later adopted in similar form by the states of Michigan and Ohio. The 45 RAPTOR accomplished what we set out to do, surpassing anything achieved with big bore offerings in the AR15 including the 450 Bushmaster, 458 SOCOM and 50 Beowulf. However, we still saw new possibilities, especially if we removed the design constraints imposed by a handful of state’s hunting laws, so rather than sit back, new designs have taken form and one of these designs, we are proud to call the 375 RAPTOR. First, .375-caliber is a proven hunting rifle caliber and is the minimum caliber permitted in the African nations of Tanzania and Botswana for dangerous game hunting. While the majority of people will never go on an African safari, the proven standards for hunting African dangerous game should give any hunter in North America the confidence to take any game animal in North America including Bear, Moose, Elk and Boar. Second, mainstream bullet manufacturers such Nosler, Sierra, Speer, Hornady and Barnes produce, as standard offerings, multiple 375-caliber hunting bullet options from bonded core, partition, polymer tipped and soft-point hunting bullets to solid copper in lead free areas and solid brass for dangerous game deep penetration. In addition, there are specialty bullet manufacturers, such as Lehigh, who produce match solid and controlled fracturing bullets. Third, 375-caliber offered superior ballistics to any .44, 452, .458 or .499 bullet. What this means to the end user is a big bore bullet that will retain velocity and energy giving effective hunting performance on large game in light short action carbine or semi-auto rifles. Finally, 375-caliber offered opportunity for subsonic / suppressed applications with readily available bullets such as the Sierra 350 Grain Match King with a .720 BC or Lehigh 295 Grain Controlled Fracturing with a .580 BC. First, like the 45 RAPTOR, the 375 RAPTOR is made for AR-10 / LR-308 / SR25 and G2 rifles, not the AR-15. By doing so, the 375 RAPTOR only requires a barrel change, meaning you can take a 308 Winchester rifle, change the barrel and you are done. There are no proprietary or limited production bolts or other parts to complicate the build. Second, the 375 RAPTOR is based on the 308 Winchester that is one of the most abundantly produced cartridges in the world with over 50 years of military use by the United States, NATO and other armed forces. 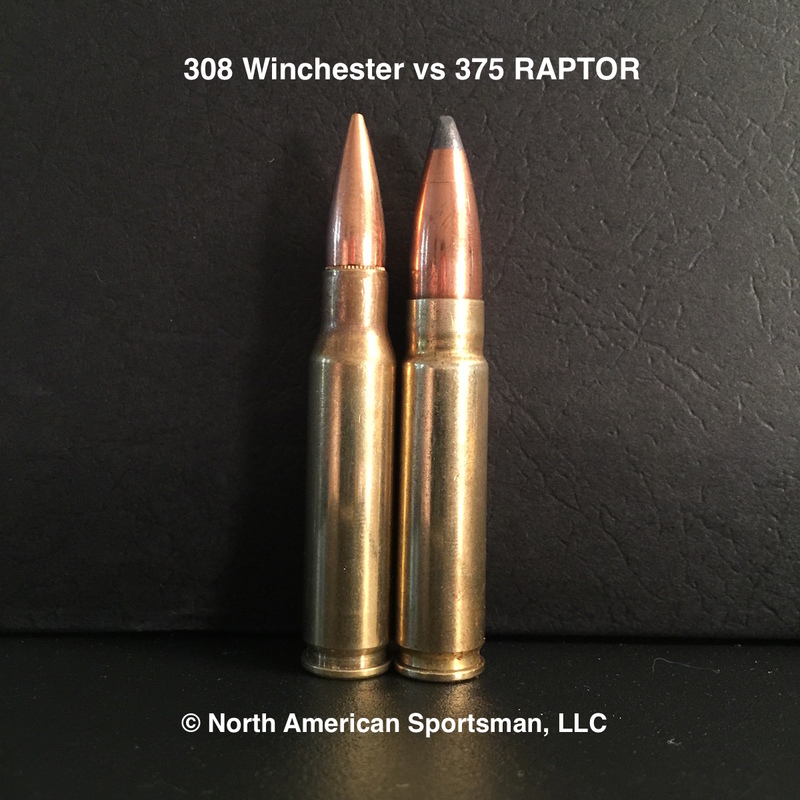 Conversion from 308 Winchester / 7.62 NATO is done in 2 easy steps (no chop saw required) and because the 375 RAPTOR is used in a rifle designed for the 308 Winchester, the 375 RAPTOR can run at the same 62,000 PSI maximum operating pressure as the 308 Winchester. Third, the 375 RAPTOR uses the common MAGPUL PMAG magazine that is modified by the end user in 5 to 10 minutes by taking the magazine apart and using a flat file to remove .015″-.025″ from the forward ribs. Please leave the Dremel or other power tools in the garage; a flat file is all that is needed to remove the equivalent thickness of 4-5 sheets of paper. Best of all, the magazine still works with the 308 Winchester when completed. Finally, the 375 RAPTOR works with a complete range of ball and extruded powders from manufacturers including Alliant, Hodgdon, Accurate, Western and Vihtavouri. This website will continually be updated with additional information, data, photos and videos. 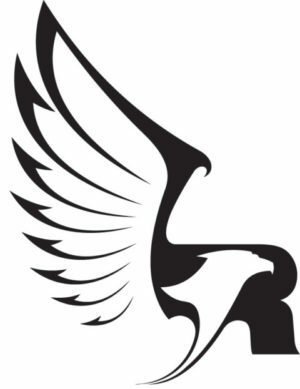 North American Sportsman, LLC is a business incorporated under the laws of the State of Texas. 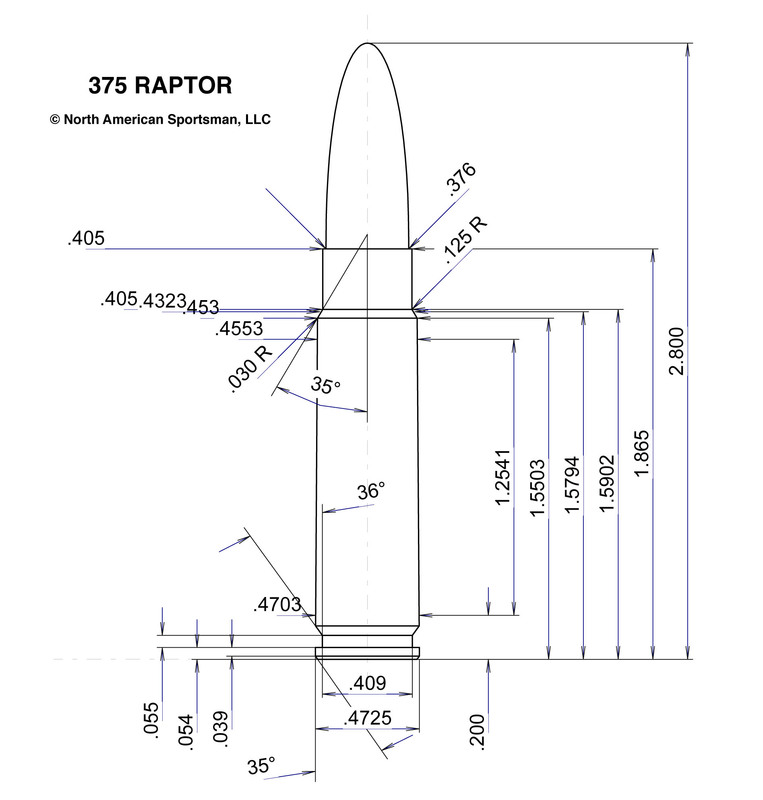 North American Sportsman, LLC or Raptor Shooting Systems does not export products for use outside the USA. North American Sportsman, LLC claims full copyright rights to all information and images published on this website. Use of anything contained on this website, in whole or part, without the expressed written permission of North American Sportsman, LLC is a violation of US copyright laws. Content on this website will be continually revised and expanded. Please refer back to this website for the most current information available.